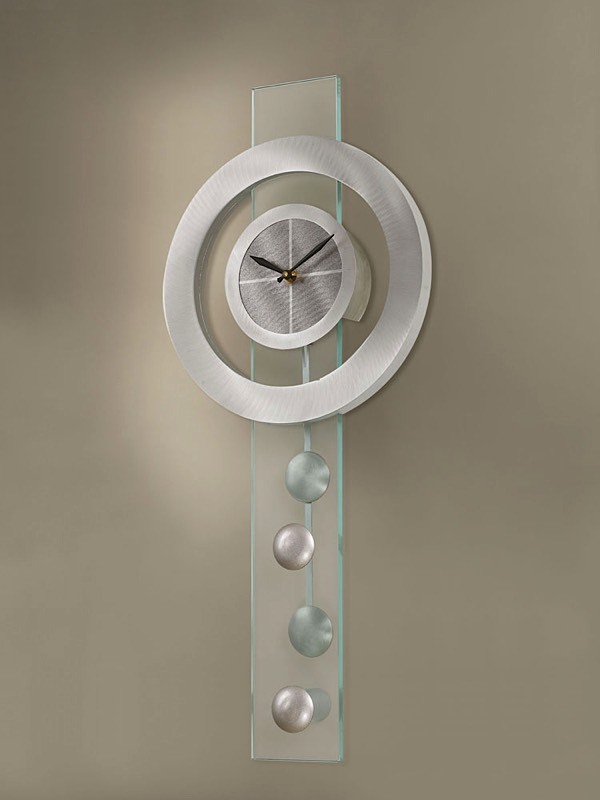 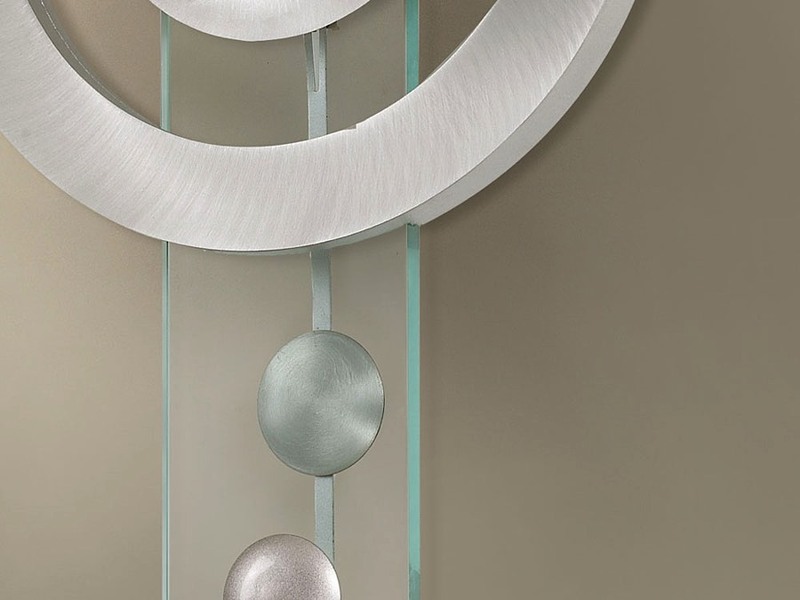 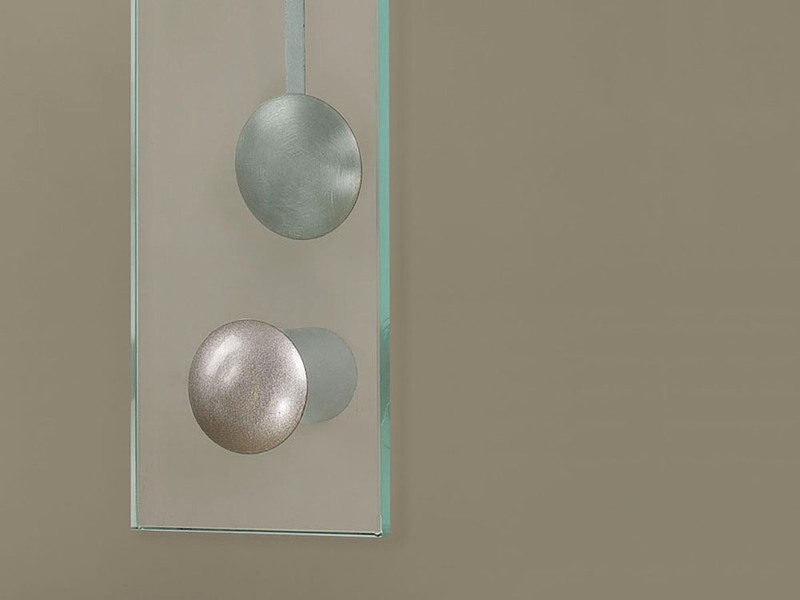 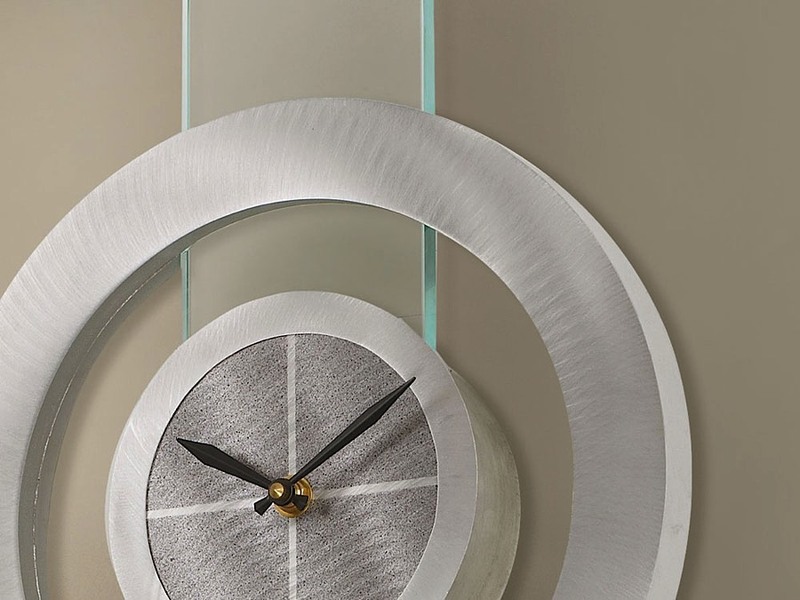 Designed by Jon Gilmore, The Juggling Time Wall Clock is hand crafted from brushed aluminum and clear glass. 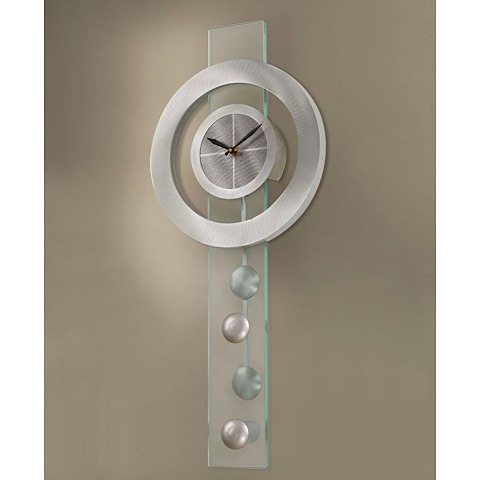 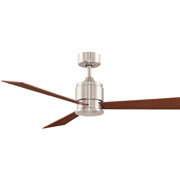 This sleek time piece features pendulum movement and can me mounted anywhere for a clean, modern look. 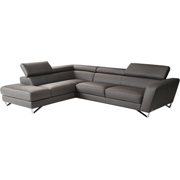 Requires one (1) AA battery which is not included.